In celebration of October, my favorite month, I'm tackling especially spooky mysteries. Today's mystery has a bit of a Satanic theme to it. 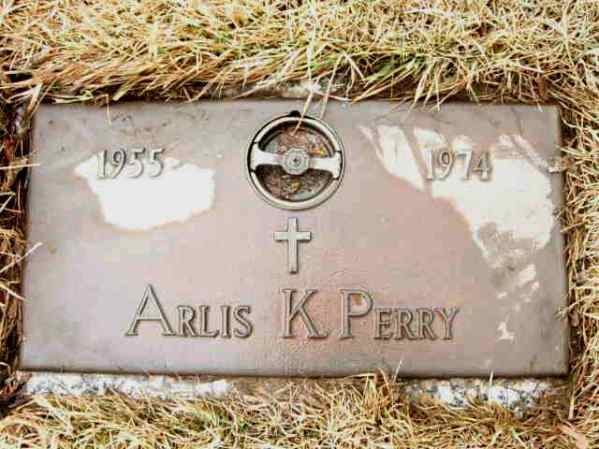 Arlis K. Perry was a 19-year-old newlywed who had recently moved to California to be with her husband, a pre-med student at Stanford. Just before midnight on October 12, 1974, Arlis and her husband got into an argument about their car's tire pressure. 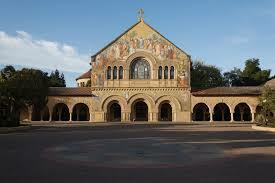 She exited the car and entered the nearby Stanford Memorial Church, saying she wanted alone time to pray. Arlis's husband, Bruce, became concerned when she hadn't come home by 3 a.m. He reported her missing to the police, who checked the church's doors and found everything locked. Just before 6 a.m., a church security guard found Arlis's body near the altar. According to the security guard, soon after Arlis entered the church, he locked the doors. He reported seven people having entered the church that night. One of those seven has never been identified. He was described as a young man, approximately 5'10" in height and medium in build. 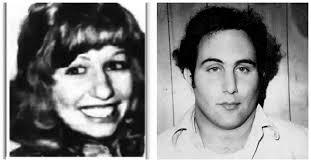 Although Arlis's killer was never found, some believe the Son of Sam (David Berkowitz) was responsible somehow. Berkowitz mentioned Arlis's murders in some letters. However, investigators interviewed him in prison and said he had nothing to contribute. Arlis's husband was also cleared. 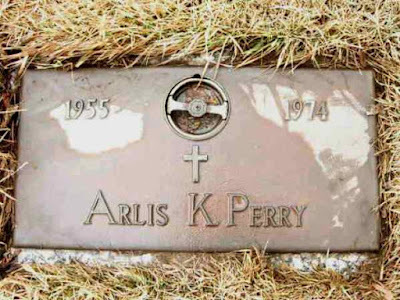 Unknown DNA was found near Arlis's body. Arlis's husband has gone on to an esteemed career working with children who have suffered trauma. He has gained attention for saying ADHD is not a real disease. Do you think the Son of Sam was connected to Arlis's murder? Or is there another explanation? First, what husband would just leave his wife at a church at midnight? And not report her missing until three in the morning? I wouldn't leave my wife anywhere alone at that time of night. I guess it was the type of fight where pride won out over love? Not a good idea! Incidentally, I think that's what happened with Natalie Wood. He didn't murder her--but he was angry (and drunk) enough to leave her out there. Ahhh..but I think he did contribute to her death. I think he may have pushed her and she went overboard. He panicked and left Natalie in the waters to die and there has been a coverup ever since. Agree with you about Natalie Wood. He and Christopher Walken will never admit that they ignored her cries for help, but other people heard her. Weird story. So sad that it started over a fight about tires. I agree with Alex on leaving a spouse alone that late at night. Yes, that never ends well. I echo both comments above. That's weird. I have to admit, the diagram confuses me more than anything. Willy Dunne Wooters and I had a disagreement about putting air in the tires of my car. If anything happens to me, tell the police it was WDW. I don't know what to think about this one. What are your thoughts? How stupid for him to leave her alone there in the first place. Did they live close by? How was she supposed to get home? What kind of security guard would lock up the church with people inside?! Where was the security guard when all this happened? Was David Berkowitz in the area at the time? So many questions, eh? LOL! I'm with Rita. How could the security guard lock up with people in the church and not find her body until morning? Too weird. Who argues about tire pressure??? She was only 19? And went off to pray? And when was Sam in California? So many questions. I'm going with the simple explanation and say that the husband had something to do with it. Love spooky stories for Halloween! I'm betting on the husband. Tire pressure? Really? That is really spooky. I haven't a clue. But the husband seems logical. I bet they had one of those marriages where people may have had bets on how long they would stay married. I knew a few relationships where they argued pretty heatedly over something stupid and the man left her or she left him in the middle of the night. He thought she would be safe in a church, went home, cooled off and fell asleep...or not. This gave plenty of time for the murderer to do his deed. I wonder why the security officer would leave her in the church? I wonder if there were other murders similar to hers in the state or neighbouring states??? I know that was a long time ago and before DNA, but can't they get Berkowitz's DNA from some of the evidence in his other cases to compare? If not him, my money would be on the husband. This is so sad! Too bad the husband left her alone! From what I know of Son of Sam, he was fond of using guns to kill, so this doesn't really seem like it fits his MO. Maybe he was just using it to spread more fear of himself. There are at least four suspects in this Arliss Perry murder case. One is the security guard who found her body, Stephen Crawford. What kind of incompetent security guard locks people in the church? Well, he may be worse than just incompetent. He may have knowingly locked Arliss in the church with her killer and he may have been an accomplice to the killer. The Stanford police think he is the sole killer. In June 2018, they tried to arrest him and he shot himself to death before the police could arrest him. The other culprit is a musician who was witnessed by Brian McCracken on the night of the murder at Stanford church in October 1974. This musician wore an Afro wig and was playing a flute inside the church just moments before Arliss was killed. McCracken said there was a naked woman beside the musician and she was surrounded by burning candles in a Satanic ritual. 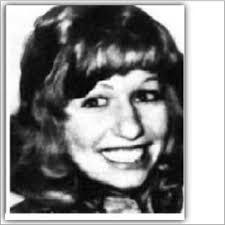 Another possible culprit and almost certainly the real killer is the unknown sandy haired young man who was seen arguing with Arliss at her workplace the day before the murder and who was seen entering the church on the night of the murder. Arliss was a devout Christian who tried to convert Satanists in her native North Dakota, and the Satanists tried to convert her to the dark side. The Satanists succeeded in convincing her to perform in a Satanic ritual and she agreed to volunteer as an experiment. They probably didn't bother telling her she would be killed as a sacrifice to Satan. It was foolish and insane to go to that church to meet someone she barely knows at that late hour all by herself. What a careless husband she had who allowed this. She went with no one to protect her. The police at the time were utterly incompetent, lazy, lax. Even after showing up at the church to find Arliss, the police refused to go inside the church because they found the doors locked. For crying out loud, get the keys from the security guard and open the door. Meanwhile, poor Arliss was being tortured and killed inside the church and the police allowed it. 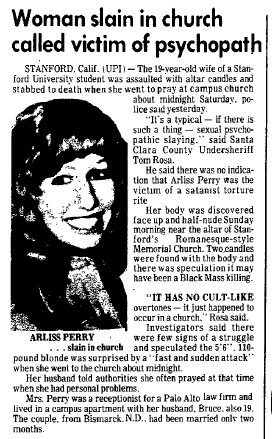 Its estimated that Arliss was killed almost immediately after entering the church, so even if the police had gone inside, it would have been too late to save her, but at least the police could have caught the killer or killers. The killer or killers escaped by the time Crawford opened up the church at 5:40 AM. Incompetent, irresponsible, careless husband, police, and security guard made this disgusting crime possible. Satanic rituals were being performed inside Christian churches in California in 1974, and the police at the time didn't care to investigate. The Devil and evil rules the world. Thanks for printing my comment. I have read a lot about this Arliss Perry murder case from the book The Ultimate Evil by author Maury Terry and from whatever information about it on the Internet. I write about it in more detail on other sites such as The Tate Labianca/Ultimate Evil/Starship site, and Arliss Perry Slaying/ Nail Head. Nail Head is William Powers. I have several theories on who the killers are and what may have happened although I don't really know what happened. No one really knows exactly what happened. All we can do is guess and speculate, as Maury Terry, Brian McCracken, and Nail Head have done. So many questions and mysteries still remain even after security guard Stephen Crawford was declared the sole culprit as the killer. More likely, he was an accomplice to the real killer and helped with the killing. We don't know exactly how much he was to blame for this crime and he can't tell us because he shot himself in a suicide before the police could arrest him. Perhaps he gave permission to the killer or killers to use the church to kill Arliss in a Satanic ritual and murder sacrifice. He may have been paid off or he may have been threatened to cooperate with the killer and he may have been threatened to keep quiet and not tell anyone about the crime. If he told the police who the killer or killers were then they would kill him as well. These people are not to be messed with. So we don't really know Crawford's role in this crime. He could be anything from the sole killer, or an accomplice to the killer, or he could have been a victim himself who was intimidated and threatened by the killer or killers to keep quiet about the crime. Since Crawford worked there at the church as security guard, his fingerprints and DNA would be all over the place whether or not he was the killer. That's why its pretty much impossible to determine whether or not he was the killer. We just don't know even 44 years later, and probably will never know. This case is one of those cases that cannot be solved. The Stanford police think that Crawford is the sole suspect and believe the case is solved and closed. I'm afraid not. The Stanford police are overlooking other suspects. This case is still a mystery.